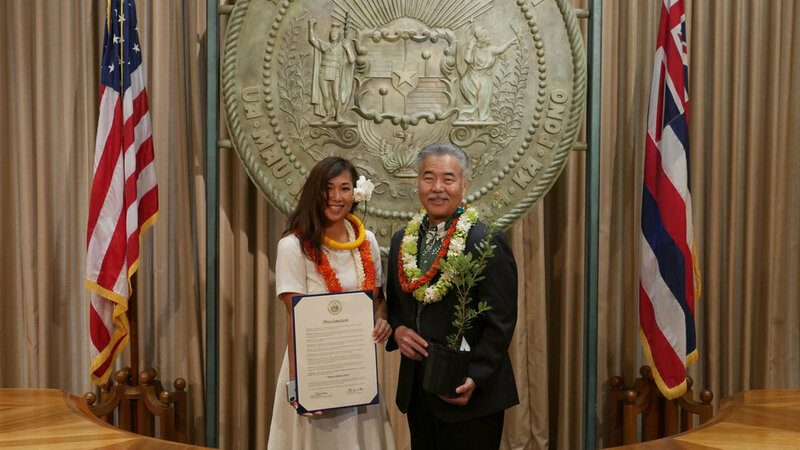 Governor David Ige announced that April 25th, 2019 is the official date of 'Ōhi'a Lehua Day. We encourage you to show your #OhiaLove by posting your favorite 'Ōhi'a Lehua photos and sharing the awareness of Rapid 'Ōhi'a Death (ROD). Pictured below is a small group of advocates for the 'Ōhi'a Lehua tree. Several scientists, educators and members of the ROD Squad were unable to attend. A big mahalo and appreciation goes to them and all their work. 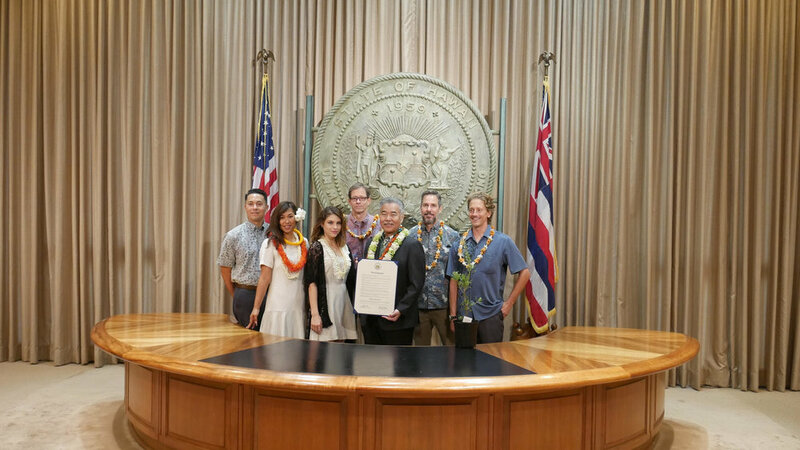 Right to left: Lyons Estate, DLNR, Governor David Ige and 'Ōhi'a Legacy Initiative.